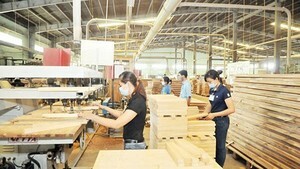 Vietnam-US trade continued to grow in the first quarter of this year, increasing 16.5 percent over the same period last year with export value up 12.3 percent and import value up 36 percent, the Vietnam Trade Office in the USA said. Processing tra fish at a seafood processing factory in the Meking Delta. 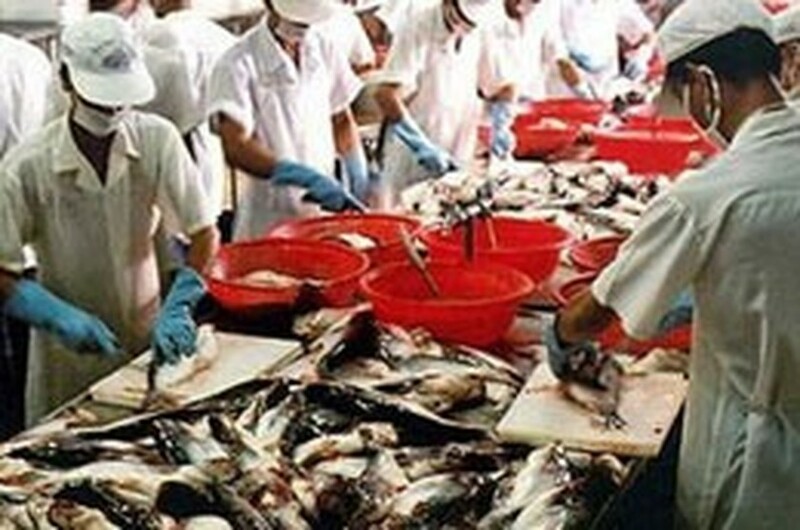 Seafood export is one of the top earners in the country. Two-way trade was valued at US$ 3,964 million, 16.5 percent (or US$ 564 million) more than the first quarter of 2009, statistics recently released by the US Department of Commerce said. Vietnam exported nearly US$ 3,133 million worth of goods to the US in the first three months of this year and imported from the US more than US$ 831 million. Apparel remained the top exports categories in terms of value in the first three months, grossing nearly US$1,343 million, up 8.6 percent over the same period last year; and followed by furniture and household items, nearly US$ 393 million, up 26 percent; and footwear, US$ 345 million, down 5.1 percent. Vietnam 's three-month exports valued at more than US$ 100 million each included agricultural products, seafood, and electric apparatus, audio-video equipment. Imports from the US increased remarkably in the first quarter of this year with 12 out of 15 main imports categories posting increases over the same period last year. The three categories saw year-to-year decreases in value included iron and steel products; civilian aircraft equipment and parts; and hides and skins, down 8.4 percent, 42.8 percent and 98.2 percent, respectively. Imports of wastes from the animal feed industry became the first import category in value, chalking US$ 121.7 million in the first three months of 2010, up 575 percent over the same period last year. It was followed by meat, poultry, etc. with year-to-year value increasing 10.6 percent to US$ 84.6 million; and metalworking machines and parts increasing 20 percent to nearly US$ 77.3 million. According to the US Department of Commerce, in 2009, Vietnam 's exports to the US was valued at US$ 12,290 million and its imports was valued at US$ 3,107 million. Last year's two-way trade reached US$ 15,397 billion, representing a 2 percent year-to-year decrease.